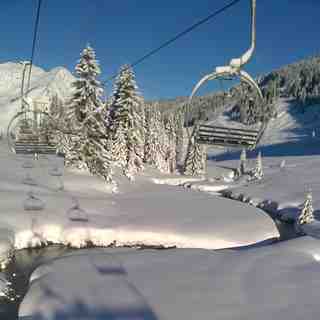 Is it snowing in Morzine ?Merci! 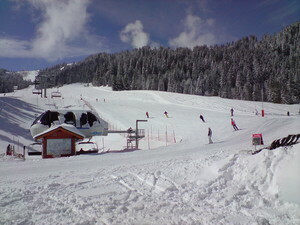 Popular Morzine (Haute Savoie region) is one of the closest major French resorts to the gateway city of Geneva. 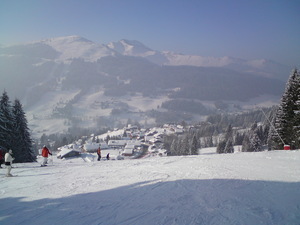 It is in the middle of one of the most extensive ski regions in the Alps: Les Portes du Soleil. This is a ski circus that connects 15 resorts in France and Switzerland. In addition to Morzine on the French side of the border are: Avoriaz, Les Gets, Montriond, St.-Jean d'Aulps, Abondance, and La Chapelle. 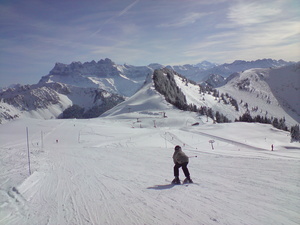 The Swiss resorts are Planachaux, Champery, Les Crosets, Val-d'Illiez, Champoussin, Morgins, Chatel and Torgon. Les Portes du Soleil has overwhelming statistics: runs up to seven miles long, 403 miles of tended trails and slopes, limitless off-piste terrain and 207 lifts of every shape, size and description. The entire region is available on a hands-free, electronic pass tucked into a parka. 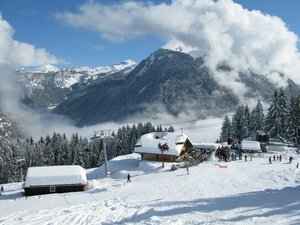 Half of Morzine's slopes are rated beginner or intermediate, which attracts families to this resort which is a traditional village with old buildings and a colorful history. It partners in promotion with the purpose-built resort of Avoriaz, a mile higher and with treeless slopes that appeal to powder seekers. 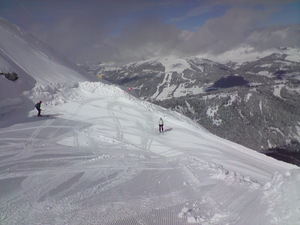 Avoriaz is a popular jumping off spot for the trip across the border to Swiss resorts. 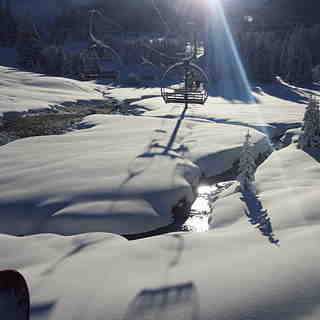 Morzine has 3 new 6-man chairlifts, a new high-speed chairlift, and a Magic Carpet. Morzine is low altitude but pretty. Moderate priced compared to other French resorts. More expensive than Austria and Italy. Lots of moderately sloped blues and even the reds aren't very red. Not a heck of a lot of off-piste. Be prepared to do a bit of walking if you aren't near the lifts, and to be fair, most accommodation is a hike. Very easy transfer from Geneva. If renting kit, try and leave it at the rental shop if near the lifts. If taking your own, then bribe a shop to keep your kit! Supermorzine telecabine is not very super, 6 seater and tired. Avoriaz is good for altitude but horrendously unpretty, despite sticking wood onto the concrete buildings. All in all, morzine is fine and pretty, but not very snowy. Thank god for artificial snow cannons.